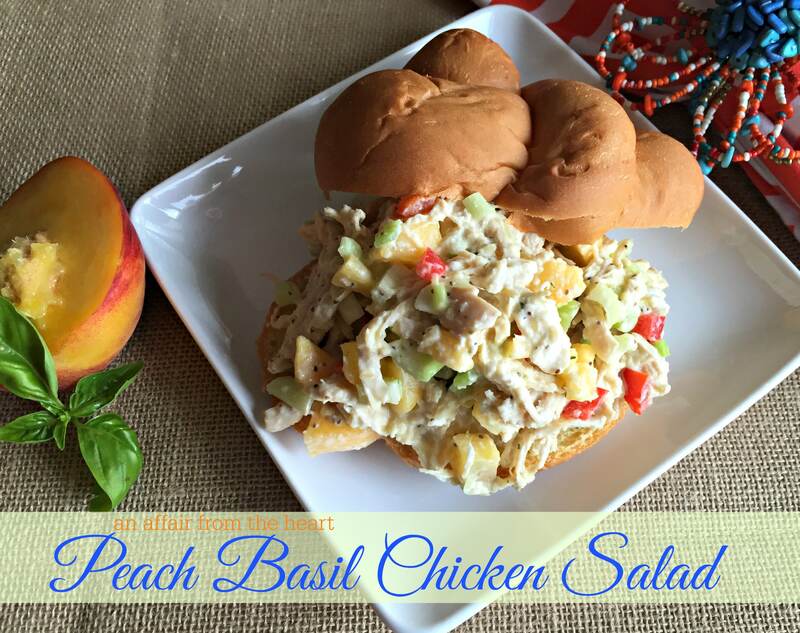 Peach and basil … two of my favorites, but I would never imagine that they would make chicken salad out of this world! Seriously, this was by far, the BEST chicken salad I have ever eaten. Not to mention, look at how PRETTY it is! I have mentioned it before, but colorful food just always seems to taste better! I got this recipe from Grandma Loy’s Kitchen , my Secret Recipe Club assignment this month. Loy, is a mother of three and grandmother of three, and has been married to her husband for over 50 years. When she’s not whipping something tasty up in the kitchen, she enjoys sewing and knitting and reading cookbooks and blogs. Loy has quite an extensive recipe list, and I had so much fun browsing! Almond Joy Fudgies, Homemade Rice A Roni, and Boursin Smashed Red Potatoes were some of the other recipes I considered, but I kept coming back to her Peach Chicken Salad with Peach Basil Dressing. I am over the moon that it was what I chose! The flavors marry over night in the fridge, making them all the more scrumptious! I served them on these cute little knotted rolls that I found. Serving over a bed of lettuce would be wonderful, too. Either way, or just out of the bowl with a fork — you are going to want to try this salad! It’s perfect for summer! Peach and Basil make this Chicken Salad out of this world! The colors and flavors are so pretty and so delicious! 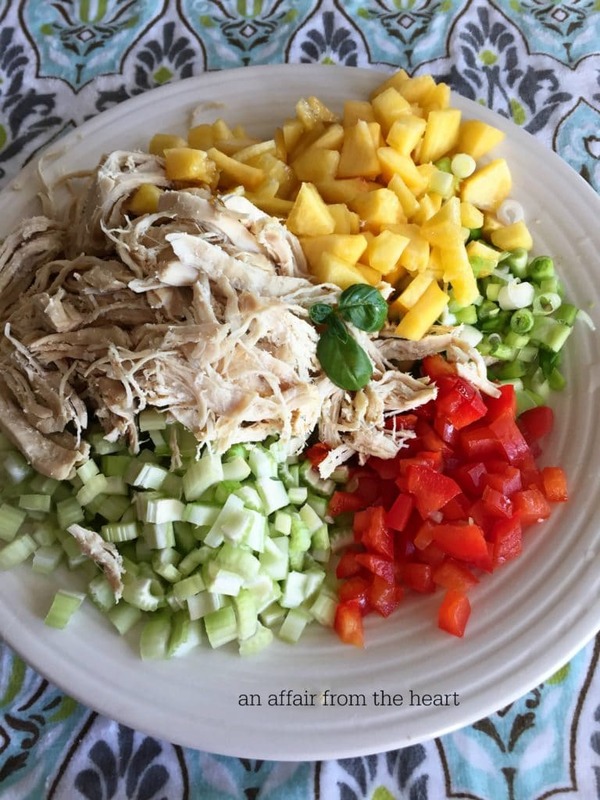 Shred chicken, and combine with peaches, celery, onion and red pepper. Set aside. In either a blender or using your hand blender, combine dressing ingredients,. blending until smooth. Pour over chicken mixture, stir to combine. Serve on rolls or a bed of lettuce. 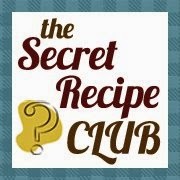 Find out more about the Secret Recipe Club – and check out this month’s recipes from my group below! This sounds so delicious and a wonderful choice for SRC!! I recently made a lemon basil chicken salad and it was so good, I can imagine how yummy this tastes! 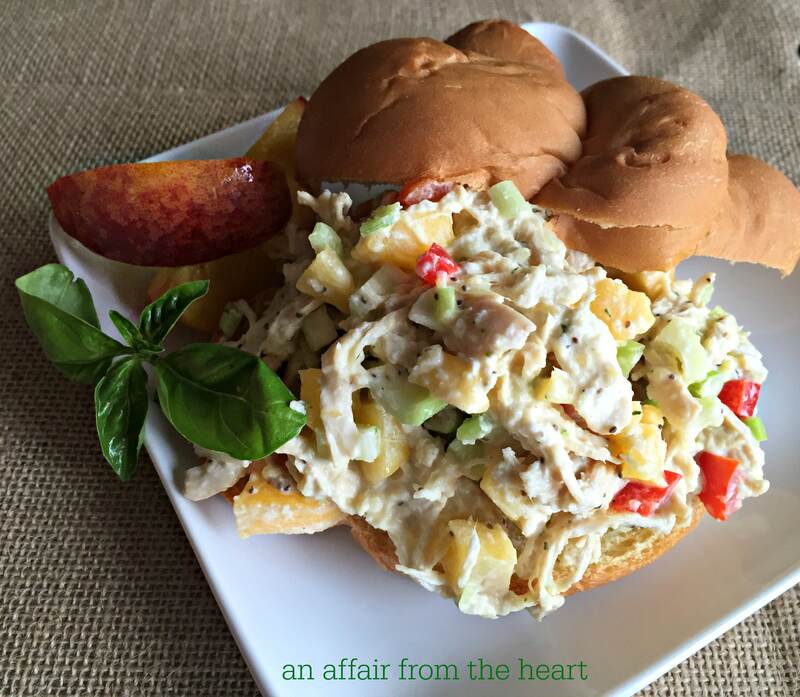 Chicken salad is a summer favorite at my house and this version looks lovely. Thank you so much!! It’s a new favorite recipe here! What a great combination for a Chicken Salad, this looks delicious and I will be trying it soon. It’s great cooking with you in the SRC! Great combination of flavors in this salad. I have never tried putting peaches in chicken salad…I will have to give this one a try. Oh my word! Looks awesome! I’m getting a deal on some organic peaches the end of June and am planning to make this yummy chicken salad. Thanks Michaela! Mary, you will love it! Thanks so much for the kind words, Michaela. I am very glad that you liked the recipe. Your photos are beautiful. One of the nice things about Secret Recipe Club is that sometimes we get reminded of recipes we have on our own blogs that we had sort of forgotten about. Such is the case here. I do remember that I really liked this as I am a big fan of chicken salads of any kind. This is definitely going back on my list of recipes to make when peach season rolls around here this summer. Thanks for the reminder. Have a great week. I know exactly what you mean! I LOVED this recipe and was so glad that I chose it! Thank you for sharing with me, Loy! This looks amazing! Definitely going to try this one. Eeee… if I have leftover peaches from a recipe I’m making, I’m going to make this salad with basil from the garden. Beautiful and delicious! So creative! I’d never have thought to use peaches in a chicken salad! This is the loveliest salad I’ve seen in years! Great SRC choice! This Chicken Salad sounds and looks great! 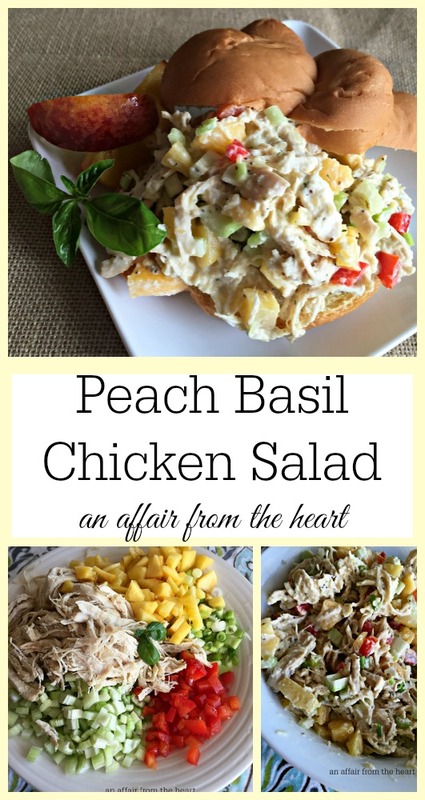 I never thought about adding Peaches and Basil to chicken salad, but it sounds delicious! Can’t wait to try this recipe out. I love chicken salad and pretty much everything else you added to it. That sounds amazing, perfect for this Georgia girl. Wow! Really creative combination with peach, I love it! YUM! The combination of flavors is unexpected but works really well! 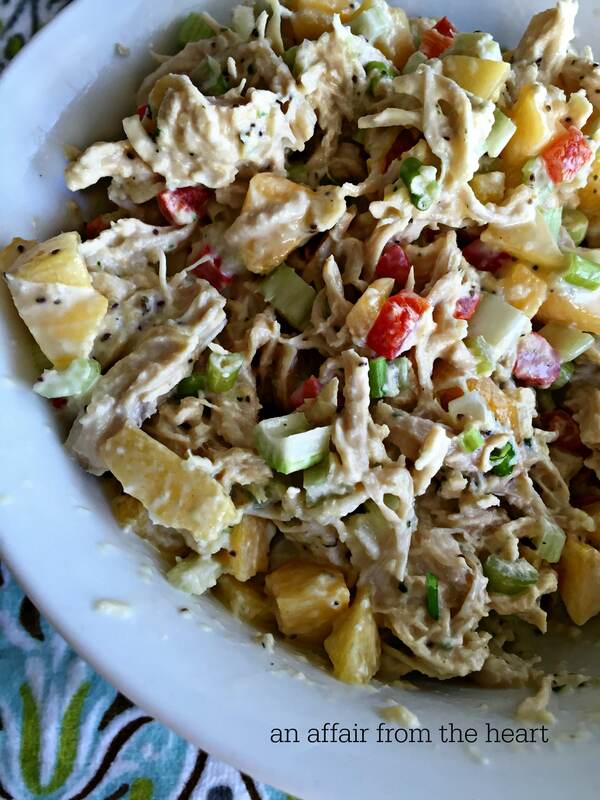 Chicken salad reminds me of summer and I’m so looking forward to a slower pace this summer. I really like your addition of basil and peach to this twist on a classic chicken salad recipe. This is surely a festive salad. This is going to be my Easter Salad Platter for sure. Looks yummy. Such a delicious simple and easy salad this is. I have bookmarked the recipe. wow, what a unique salad, there are so many different flavors in the recipe, I love it!